Save time, labor and money by ordering hose whip assemblies for specific applications. 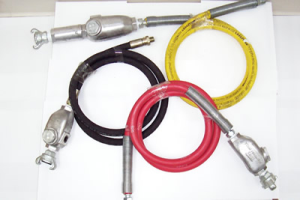 Hose whip assemblies come with or without lubricators and with various hose ends for connection to the tool. Typically, crow foot connectors (chicago couplers) are used with lubricators. Assemblies using other connectors can be made to order. Spring guards are standard on all 1/2" and 3/4", 300 psi hose and the hose is clamped with 1/2" stainless bands. Hose ferrule clamps can also be used for clamping. 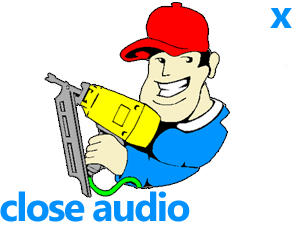 Hose whips using 1,000 psi (Hercules) hose or 2,000 psi (Hydraulic) hose are also readily available.